Christian’s core specialisms lie in fraud, environmental and regulatory law (and the interface between their criminal and civil elements), and also in administrative law (focused on immigration and asylum law and environmental law). Christian’s criminal practice focuses on fraud, environmental and regulatory law. With a multi-disciplinary background, Christian has a particular interest in subsidiary confiscation and asset recovery under the Proceeds of Crime Act 2002 and the related areas of property and chancery law with which it interacts, including matrimonial and cohabitee finance, inheritance, and insolvency. His practice is best represented by R v Morgan  EWCA Crim. 1307,  1 All E.R. 1208,  Env.L.R. 5,  Lloyd's Rep FC 655, an appeal arising from an environmental prosecution, which concerned the interface between criminal confiscation, environmental regulation, landfill tax and the effect of Article 1, Protocol 1 to the ECHR. He appears not only in the criminal courts in relation to such matters, but also the County Court, High Court, and related Tribunals. He also writes, blogs and lectures on the interface between criminal confiscation and other areas of law. He is recommended in the Legal 500 2017 for his criminal law practice as Tier 1. Christian’s distinct public law practice is immigration and environmental law based. A longstanding member of the Wales Working Party of the UK Environmental Law Association, Christian was elected to its National Council in 2017 with special responsibility for Wales. An experienced practitioner in all aspects of Immigration, Asylum and Human Rights law, he regularly appears before the High Court, and before both tiers of the Tribunal (Immigration and Asylum Chamber). Christian is recommended in the Legal 500 2015, 2016 and 2017 for his public law practice as Tier 1. Christian prosecuted this NHS fraud successfully to trial; confiscation proceedings with international element ongoing. Application for permission to continue to confiscation and sentence in respect of a company in administration. Christian successfully resisted this appeal against a confiscation order made in respect of various waste offences. Christian successfully represented the respondent in this complicated judicial review brought in respect of a refusal of leave as a Tier 4 (General) Student. Christian has significant experience in judicial review matters and statutory appeals. He has been a member of the Attorney General's Regional Panel (Wales) since 2007. Christian's core public law practice encompasses immigration and environmental law. He is co-convenor of the Wales working party and member of the National Council of the UK Environmental Law Association. Christian has a specialist and niche practice encompassing criminal and civil fraud and regulatory law. He also accepts instructions in related civil law matters. Christian’s fraud practice focuses on Revenue, NHS and social security fraud. Significant Revenue frauds include Operation Ukraine (2008-2012): prosecution for evasion of VAT on importation of vehicles from other EU states. He is currently instructed in a Capital Gains Tax fraud and also accepts instructions in civil Revenue matters before the Tax Chamber. Christian recently successfully prosecuted a high-profile NHS fraud and regularly undertakes social security fraud work. Christian’s regulatory practice focuses on environmental law but also involves trading standards and related matters. Noteworthy regulatory cases include Operation Ascot (2010-2012), a prosecution under the Environmental Protection Act 1990 concerning depositing of waste in West Wales, including spoils from a major national infrastructure project. In the substantive prosecution, Christian was led junior at trial, Court of Appeal and re-trial; in the subsequent confiscation proceedings, he appeared as junior alone, both before the Crown Court and, successfully, before Court of Appeal. Christian also deals with non-criminal regulatory matters, with a particular interest in environmental matters including the transfrontier shipments of waste and emissions trading. 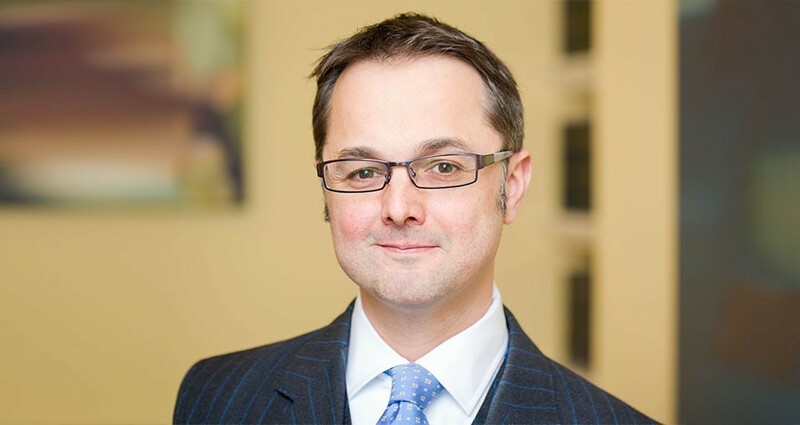 Christian has a particular interest in the interface between asset recovery and competing rights under other legislation, such as the Trusts of Land and Appointment of Trustees Act 1996 and the Insolvency Act 1986. He recently appeared before the High Court (Chancery Division) concerning the effect of a company’s entry into administration upon outstanding criminal confiscation proceedings. Christian’s primary chancery and commercial interest lies in the interface between these areas of law and the Proceeds of Crime Act 2002. His advisory and advocacy practice deals with unusual situations where criminal confiscation meets inheritance, insolvency and and administration, and other chancery and commercial matters. Christian also has experience in applications under the Trusts of Land and Appointment of Trustees Act 1996, and in particular those cases where these matters overlap with the Proceeds of Crime Act 2002. He has also appeared in the High Court (Family Division) dealing with the interface between matrimonial finance and criminal confiscation. Christian’s practice encompasses statutory appeals and judicial review across the spectrum of Immigration, Asylum and Human Rights law. He is a member of the Immigration Law Practitioners’ Association. Christian regularly appears in First-Tier and Upper Tribunals in addition to the High Court. 2012-date: Specialist Regulatory Advocate in Health and Safety and Environmental Law: List B; (previously appointed to the former Unified List of Prosecuting Advocates for the Wales & Chester Circuit, C List 04-Sep-06 to 02-Sep-11). Having undertaken pupilage in London from September 2000, Christian subsequently moved to Cardiff where he joined chambers as a tenant in 2003. Christian Joined 30 Park Place in September 2015. Christian is a Civil Mediation Council registered Civil and Commercial mediator.